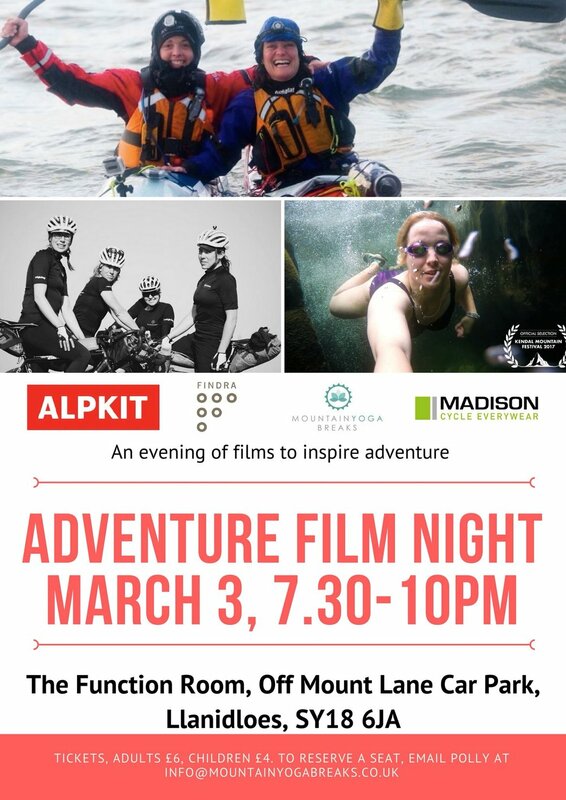 This brand new event is curated by our friend (and fellow FINDRA ambassador) Polly Clark, and features The Adventure Syndicate's first film: NC500, the story of how we got started, with a team of seven women time-trialling around some of Scotland's most challenging (and beautiful) roads, completing 518 miles in 36 hours and setting a new record in the process. You'll also have the chance to see Justine Curgenven's 'Kayaking The Aleutians' (starring our very own Sarah Outen), and Hannah Maia's 'My Big White Thighs & Me, "a story about womanhood, miscarriage, healing,loving your own skin & freezing your bum off in cold water." The place: The Function Room, Off Mount Lane Car Park, Llanidloes, Wales.